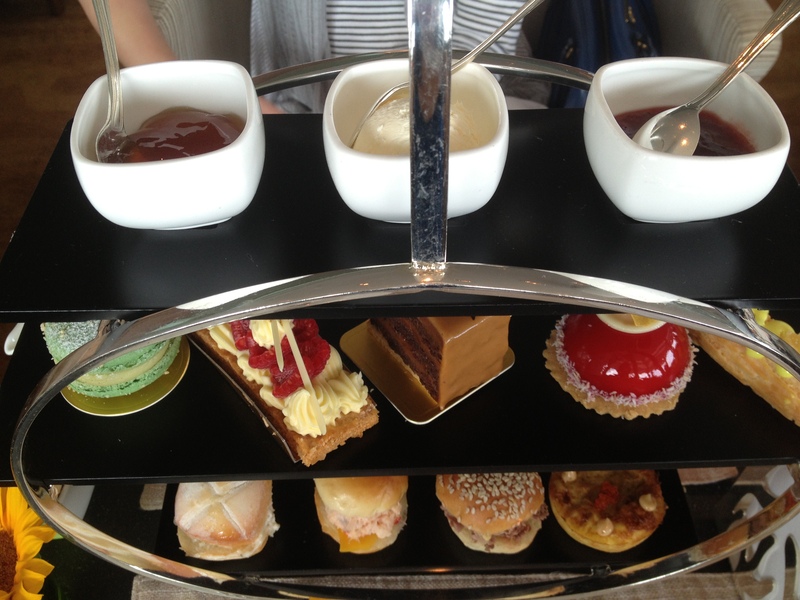 One thing that I had to do over the summer in Hong Kong is take a break and high tea at a hotel. 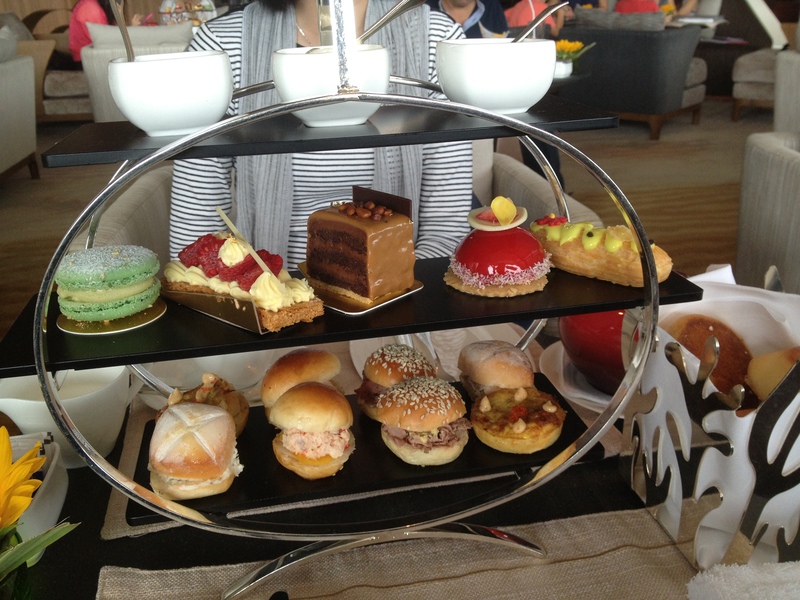 Afternoon tea has become a popular activity for Hong Kongers to get away from the heat, sip tea and gossip away. I would also say that this activity is another way to temporarily escalate you to a more luxe status. Our original plan was to go to The Peninsula to give their memorable high tea experience a try but the line-up was overwhelming. 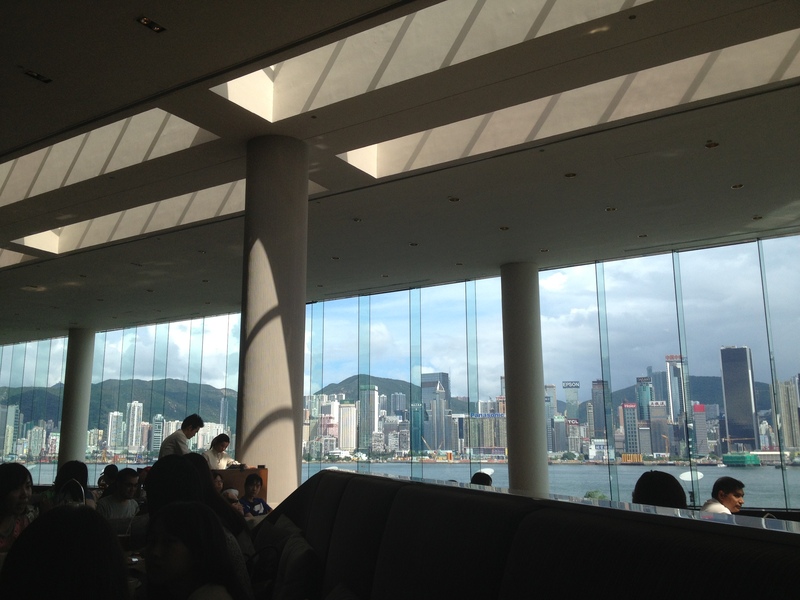 Luckily not far from The Peninsula is The InterContinental which also serves a delicious afternoon tea with a fantastic view of the famous Hong Kong skyline. The con about both The Peninsula and the Intercontinental is that they both do not allow reservations so going early is a must, however The Intercontinental wasn’t full yet so we walked right in for a seat. I am loving the natural light shining in with the three story windows with a view of the skyline. Here comes the goodies, we ordered The InterContinental Afternoon Tea Set for Two (HKD568) and there were too many goodies for two women to finish. The scones were served in a beautiful silver basket to keep them warm and the three tier set was just gorgeous to look at! Starting from the bottom we have the salty bites sections including a crab tart and mini lobster salad, pork and beef burgers. Moving onto the sweeties we have a raspberry, custard cream mille feuille, chocolate coffee cake, raspberry and cheesecake dome and a macaroon. 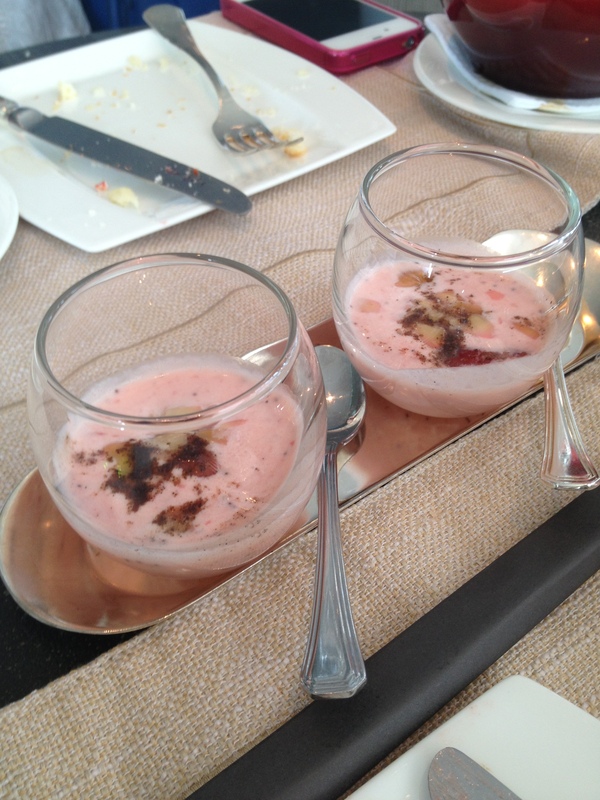 Of course no high tea is finished without Devonshire cream, earl grey jelly and strawberry jam. 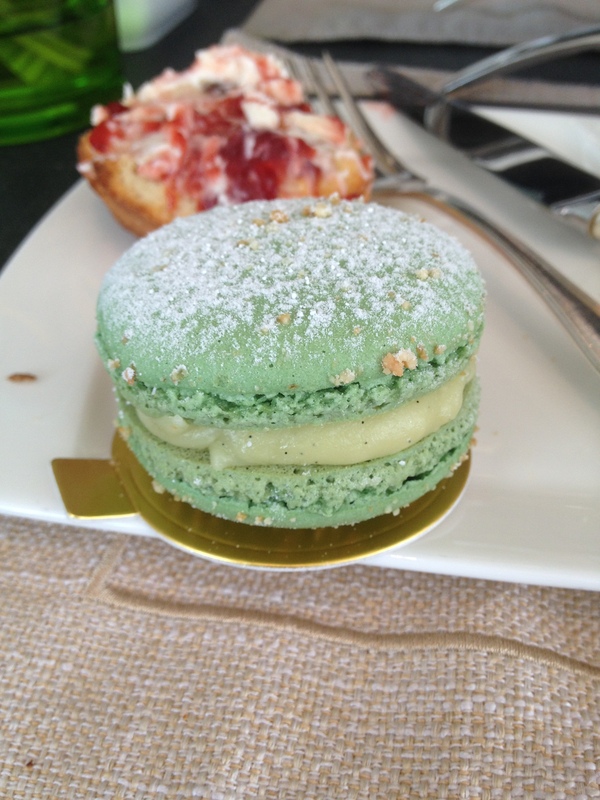 This macaroon was bigger than the usual ones, I’m not quite sure what the flavour was but the cream tasted like pistachio. After the tea was over, they gave us small raspberry shakes with almond bits that were incredibly sour and face cringing. One spoon of this was enough to make me purse my lips and put it aside.